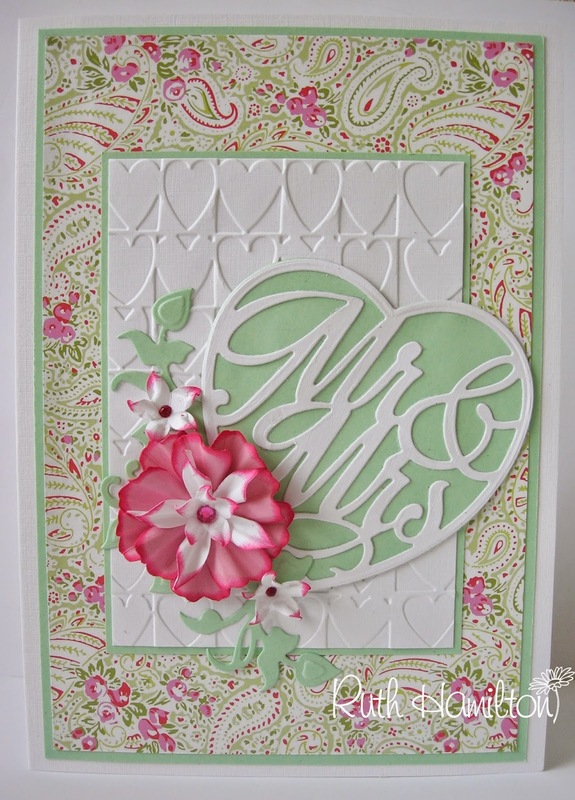 I've used the same Mr & Mrs die set as the last card but made a colourful one this time. The flowers are made with the Peruvian Lily Punch and Stamp set and I've used the Verdant Vines die behind. 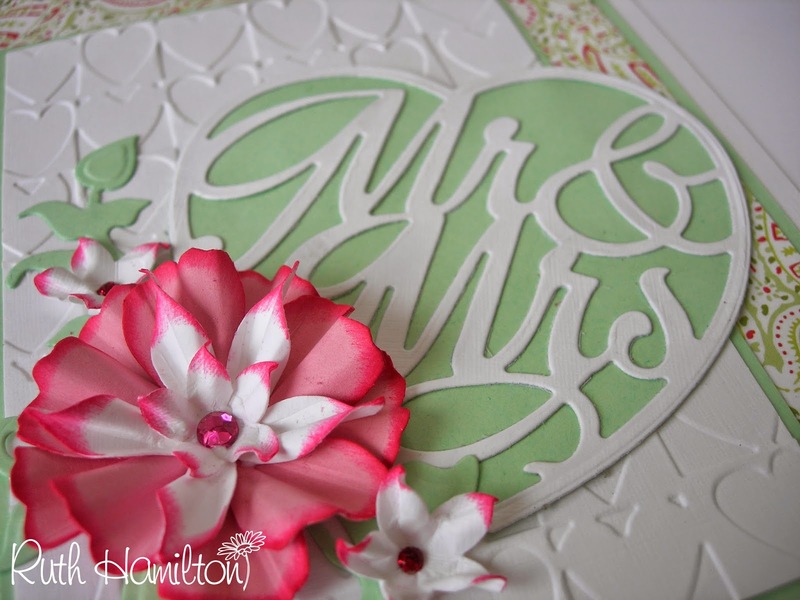 Join Jo on Create and Craft TV at 12, 3, 5 and 9pm today to see these lovely new dies in action.